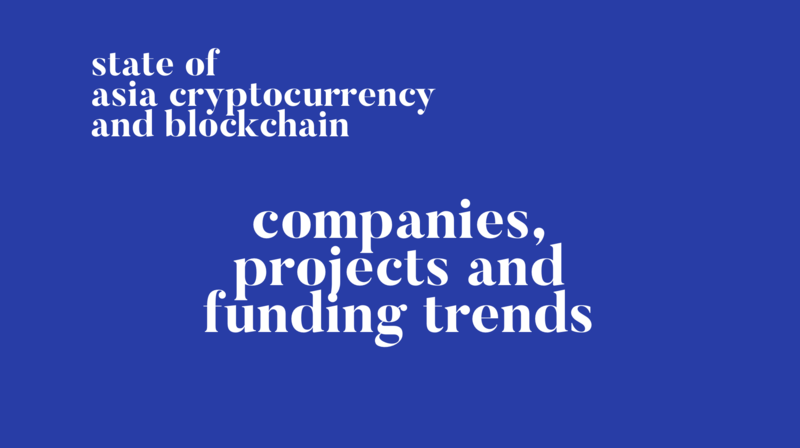 State of Companies and Investments – February Edition – We help you think smartly about the crypto and blockchain landscape in Asia 5-10 years out. 2 weeks ago, we shared our thoughts on the recent important happenings in Japan, Korea and Thailand. This week, we share what we are seeing in the Asia Crypto funds and investments space. Investments from Asia crypto funds have mostly stopped this year, and the Asia markets overall will be relatively quiet going into February as many Asian countries and celebrate Lunar New Year, with the celebration lasting up to 3 to 4 weeks. We are seeing a re-centralization of crypto in Silicon Valley, but such trends of crypto accumulation do not equal to crypto adoption. We then share the crypto-related deals that have happened in Asia this year. Join our Premium plan for just $150 a year, or less than $13 a month, consisting of our most in-depth, timely and impactful pieces, giving you an informational edge over the entire financial and technology industry. Premium members get exclusive access to the stories that the mainstream media doesn’t understand and that remains undiscovered and buried amid the noise of social media. On a weekly basis, GCR will feature the best research, investigative reporting, analysis, company digests, op-eds, and interviews, dissecting the most important Asia crypto happenings. Below you’ll find a selection of articles exclusively for Premium members. Additionally, as a Premium member, you’ll get exclusive access to The Information's Quarterly crypto call. Join alongside with the founder of Scalar Capital, Polychain Capital, large cross-border venture capitalists, renown journalists from the New York Times, Wall Street Journal, TechCrunch, The Information, founders and management teams from the top US and Asia technology and blockchain companies including Tencent, Alibaba, Cryptokitties, ConsenSys and Coinbase. We have been quoted and featured in Forbes, South China Morning Post, Hackernoon, TechCrunch, and The Information. I've been following your newsletter for a while now and I've learned so much about China, Korea, Japan, so the news has been super helpful. [Global Coin Research] differentiate themselves by reporting on daily news out of Asia and translate some of the media reports directly. I've been reading your newsletter for a while and I find it really informative! I don't think daily news in my inbox is too much and you do a really good job of summarizing what's going on in Asia news, which I have not been able to find elsewhere. I especially enjoyed the Tencent/JD/Alibaba analysis!